This tasted so sinful, yet was actually a clean and healthy dessert! Its a healthy take on an Ice Cream Cookie Sandwich! However, it is actually dairy free and only has natural sugar! Preheat Oven to 350 degrees Farehnheit. Mix all the cookie ingredients together EXCEPT the chocolate chips (if using any). Scoop 4 cookies onto the cookie sheet. Make sure to not overcook. Blend all the "ice cream" ingredients together in a blender or food processor until smooth and creamy. Sandwich ice cream between 2 cookies and drizzle with honey. Both the cookies and Ice Cream are great by themselves as well! 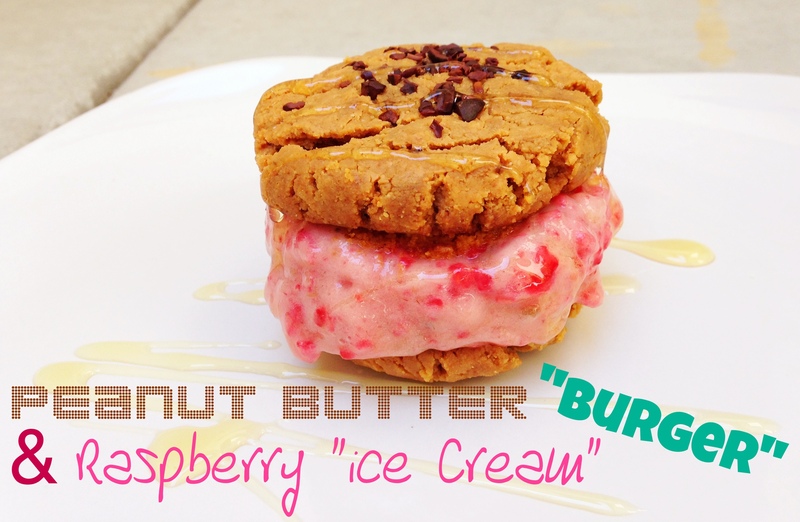 0 Responses to "Peanut Butter & Raspberry “Ice Cream” Cookie Sandwich"
I love this idea! I’m trying it tonight is there any way to incorporate protein to this recipe? If so, how would you do it? Thanks! I hope you enjoy it! You can always add protein powder the the “ice cream” plus there is protein in the peanut butter! I made these tonight and they were great! Definitely satisfied my sweet tooth.